Tango lyrics make us picture Boedo as neighbourhood of "casas chorizo" (row houses), with large patios, cobble stoned streets and Southern suburbs nostalgia. Today, this residential area retains its calm and certain memorable spots in its unique geography. 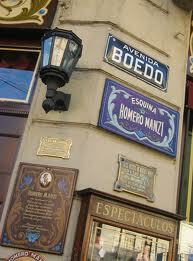 The great tango poet, Homero Manzi, spent the greatest part of his life between Boedo and Pompeya. It was by the bar on the corner of San Juan and Boedo where lyrics for "Sur" were inspired: San Juan and old-time Boedo and the whole sky, / Pompeya and beyond, the flood. Today, dinner plus performance is hosted here. Further away, in Pompeya, on the wall of the crossing of Centenera and Tabaré, one may read the lyrics of another of his songs, "Manoblanca". This is the spot where the museum in honor of the poet rises today. 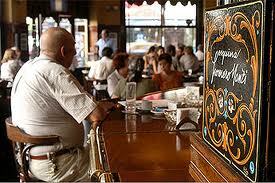 The Café Dante (Boedo 745) is the oldest in the neighbourhood and keeper of a great secret: among its tables, Cátulo Castillo wrote many of his stanzas. Also, this is where the "Republic of Boedo", a group of area dwellers who gathered for long talks and billiards, used to meet in 1938. The Miguel Cané Library (C. Calvo 4319) deserves a chapter of its own, made legendary through Jorge Luis Borges, who wrote his first stories here, while he catalogued books. - Esquina Homero Manzi: This is where Homero Manzi wrote the lyrics for is tango "Sur". Dinner and show. 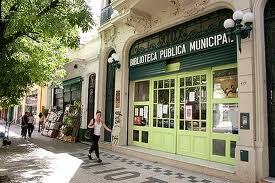 San Juan Ave. and Boedo Ave.
- Miguel Cané Library: Jorge Luis Borges was employed here, cataloguing books. 4319 Carlos Calvo st.
- Martita: At this salon, home-made dishes are served. "Empanadas santiagueñas" and more. 3700 Cochabamba st.
- Pan y Teatro: Warm and rustic atmosphere, and native cuisine. Carbonada and Creole locro (stews). 4095 Las Casas st.
- Miramar: It looks like an old grocery and rotisserie. Serves sucking pig, "buseca" (tripe), lamb and frog. 1999 San Juan Ave.